Coral reefs are made up of massive calcium carbonate skeletons. A new study, published in Science Advances on January 16th 2019, reveals insights into the calcification process that leads to the formation of these skeletons. Elucidating coral calcification is key to a deeper understanding and better predictions of how and why coral reefs respond to environmental changes such as ocean acidification. "By combining microscopy and microsensor measurements, we directly measured calcium, carbonate and pH at the site of calcification in coral microcolonies of Stylophora pistillata and derived important carbonate chemistry parameters from it. We show that all measured and derived parameters are higher at the coral than in the surrounding seawater. 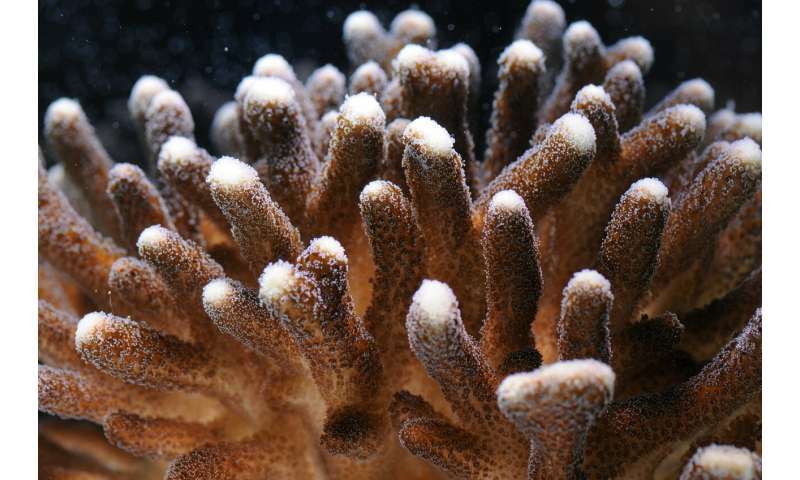 This points to the importance of calcium- and carbon-concentrating mechanisms that are actively regulated by the coral to form its skeleton," says lead author Duygu Sevilgen, scientist at the CSM and former Ph.D.-student at the Max-Planck-Institute for Marine Microbiology. Measuring these key parameters at the site of calcification in live coral samples (where the first crystals are formed before they fuse to build the massive skeleton) is technically highly challenging. Previous studies using microelectrodes have been carried out "blind," and were hampered by uncertainty over correct placement of the microelectrodes in the calcifying medium. As such, most of today's knowledge is based on geochemical signatures in dead skeletons, rather than measurements in live corals. 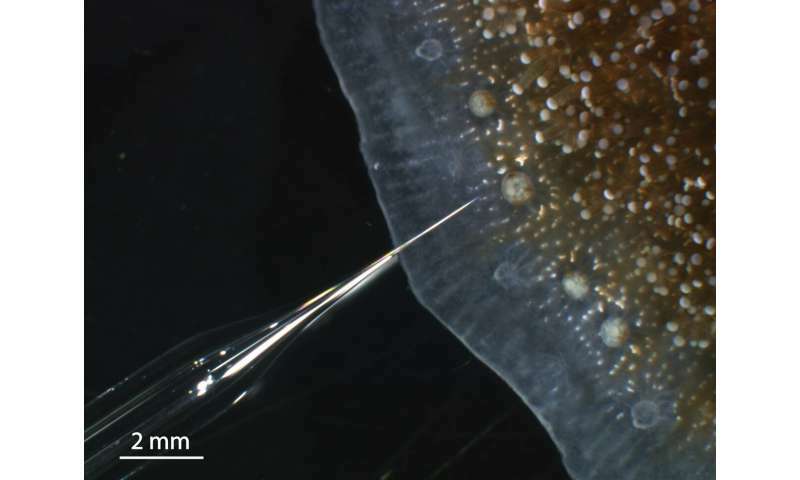 Sevilgen and her colleagues overcame these difficulties by using in vivo microscopy to orientate the microelectrodes into the calcifying medium, minimizing disturbance to coral physiology. "For many years, one of our strengths at the CSM has been to culture corals under controlled conditions and develop cutting edge techniques to analyse the physiology of living corals," says Sylvie Tambutté, research director at the CSM. Alexander Venn, senior scientist at the CSM, further explains: "Lots of important data on the calcifying fluid are available in the literature on corals. However, values obtained by different methods show great variability. As a first step in our study, we combined two methods to measure pH (a pH sensitive fluorescent dye and pH microsensors) and optically verified that we measure at the same spot and at the same time. By doing this we could show that when measured at the same time and place, methods indeed agree, clarifying differences in previous findings. This highlights the usefulness and importance of optical verification during the use of microsensors to ensure proper placement within the coral."